If you have kids, it is impossible to have missed the current obsession with Slime! The stretchy, goopy mixture has taken the world by storm and for good reason! You can stretch it, squish it, knead it and it comes in many forms such as fluffy, glossy, glittery, and so much more. The fun stretchy stuff is great for providing sensory and tactile benefits and can be very calming and relaxing. You can even make it at home and it takes only minutes! Making Homemade Slime Recipes is a great way to connect and spend a little time with your kids! Whether you call it a cooking craft or a STEM-friendly experiment, Homemade Slime Recipes are so much fun. 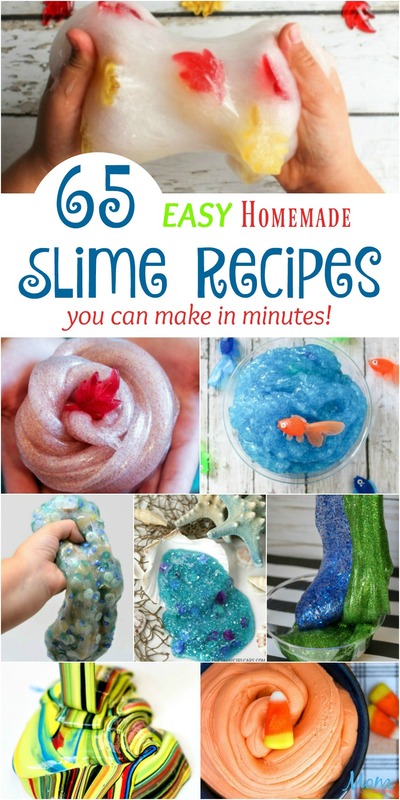 Take a look at all the fabulously fun Homemade Slime Recipes below! And, be sure and check out our very own ADORABLE 101 Dalmation Inspired Slime! This borax-free Cinnamon Fall Slime from Crayons and Cravings is perfect for a preschool science activity or for sensory play. 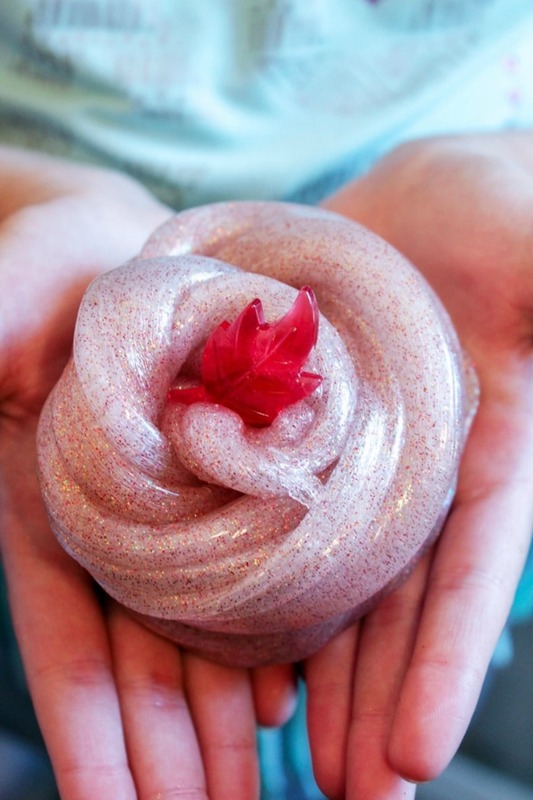 It is filled with fun leaf shapes, glitter, and has an amazing cinnamon scent! It is the perfect way to welcome in Fall! Who loves Disney? Everyone, right? And, Ariel is a favorite character for many! 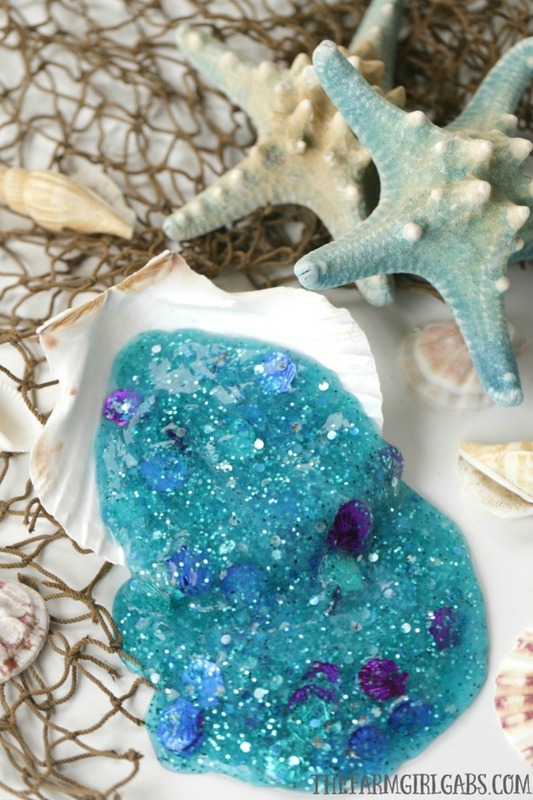 This fun Mermaid Slime from The Farm Girl Gabs is a beautiful teal color combined with glitter. It resembles the scales of Ariel’s fin. For added sparkle, you can add fun seashell confetti (she found at hers at the dollar store). So cute! What a great way to learn about Earth Day! 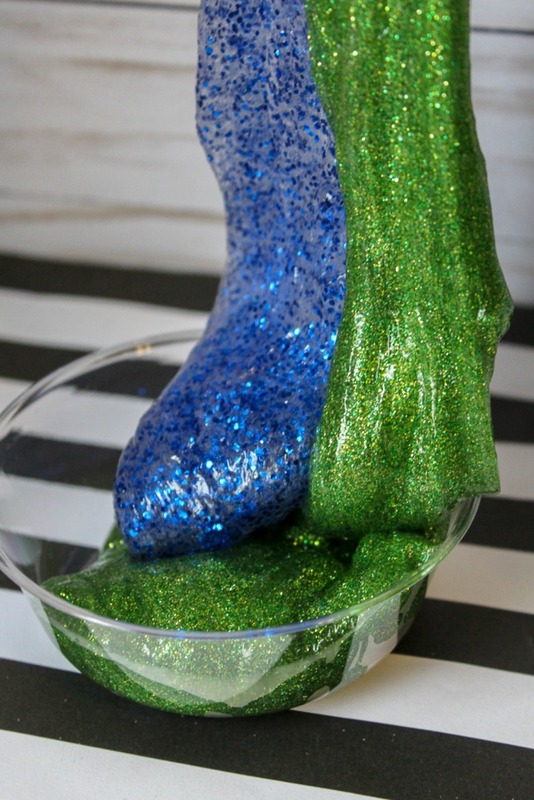 This fun Earth Day Slime from A Sparkle of Genius with its bright bold colors perfectly represents the earth and its beauty. Making slime with kids is a fun project that you can do while you talk about taking care of the beautiful planet that we live in. Head over and take a peek to see the beautiful earth shape once it is rolled up! Fall is so much fun and we love spending time outside. 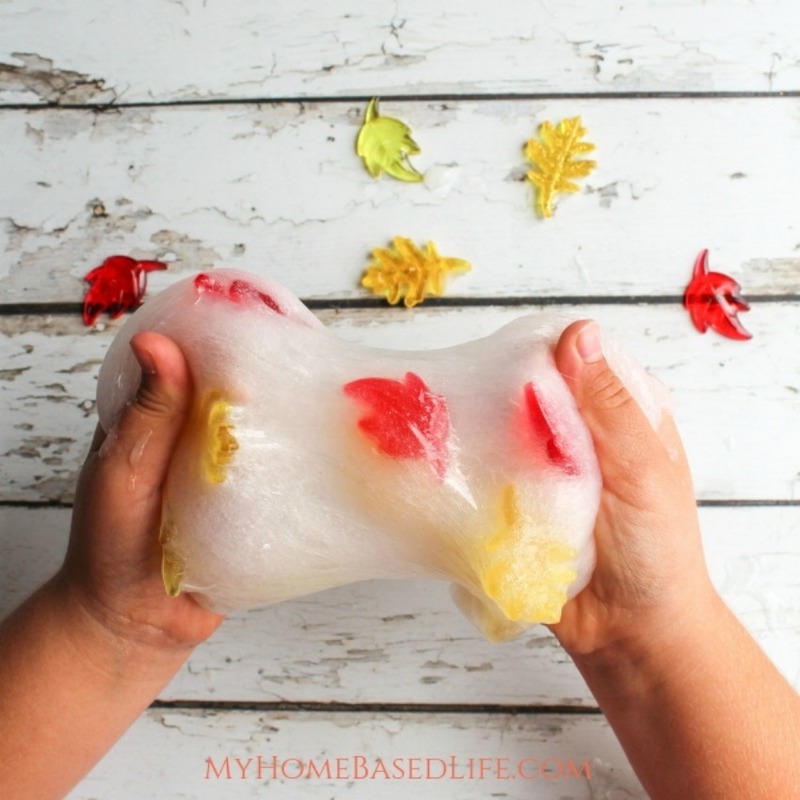 However, when the weather is bad, this fun Falling Leaves – Fall Slime from My Home Based Life is a great indoor activity! It is super simple and easy to where even the kids can whip it up! You can add just about anything to this Fall Slime to make it seasonal. In this recipe, they used plastic leaves found at Hobby Lobby. Easy Slime Recipes You Can Make at Home!